Your question may be, ‘Why would I need a Business card?’ I work online. Good question. I am going to tell you why you need a business card. Before I went to a recent Blogging Event, I read as many posts as I could on how to prepare and what to bring to an event. The one thing that was always mentioned, and what I was missing, was an up to date Business Card. 5 Reasons why you need a Business Card! Going to an event where you are meeting a lot of other bloggers, it is vital to have a business card when a contact asks for one. It is a known fact that a good percentage of bloggers are introverts. I have read that after the exchange of business cards, it is an indication that the conversation is over. I found it easier to ‘break the ice’ if I asked for the bloggers business card early in the conversation. 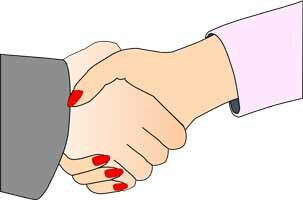 People love to give out their business card, and if you take their card, it is easy to offer your card. Quite often I did not have to offer my card as it was asked for as soon as I took their card. Wherever you go, it is easy to find ways to distribute your business card. Some coffee shops have a bowl to drop your business card into. Malls often have an information board where you can leave your card. Meeting friends or new acquaintances, one of the topics that you blog about is quite likely to enter the conversation, giving you a good opening to offer your business card to direct them to your blog. Being a serious blogger, we are told to look upon blogging as a business right from the beginning. Why you need a business card is so that you look like a person who takes their blogging seriously. Don’t keep portraying yourself as a newbie, even if you are. If you have a physical media pack, you will need a business card. As I look at all the business cards I have collected it became apparent that some are more effective than others. One of the main reasons you use a business card is to give your contact details to the other person. Make sure that all of your contact details are in a font large and clear enough to read quickly and easily. Ensure that you state what your blog’s focus is. This is especially important if your domain name does not clearly indicate your focus. Sometimes new blogs will morph into a different focus as the blogger starts to recognize what they enjoy writing about is not what they started out blogging about. The domain name may now not clearly represent the new blog focus, so a short focus statement is necessary. Some bloggers also put their social media accounts on their cards. My personal preference is to use color; it helps your card to stand out from other cards. That is not to say that some mono colors are not effective; they are. I was thankful that before I designed my card, I was advised to put my photo on it. Your photo helps the person receiving the card to relate to you and to remember you. I put my picture on the back of the card. Some of the cards I collected had the blogger’s photo on the front, and it looked very good. Some bloggers used different shaped cards, and some made their own. Most of us want our blogs to do well without costing us a lot of dollars to set up and maintain. Producing a business card is important and worth the investment. To keep costs down, I used Vista Print. If you keep your eye open on the Internet, you are sure to see a promotional coupon for business cards. Or just get an account with Vista and they will send you their specials and coupons. I used my design on their template for premium cards. I did back and front and a gloss finish. Along with postage, 250 cards cost me $45 AUD. I could have printed 500 for just a few dollars more. It is a little bit of a learning curve to manipulate fonts and sizes and position. In the end, I was pleased with the result. The more we can look professional, be professional it will show through in the writing of our posts and how we represent our brand. 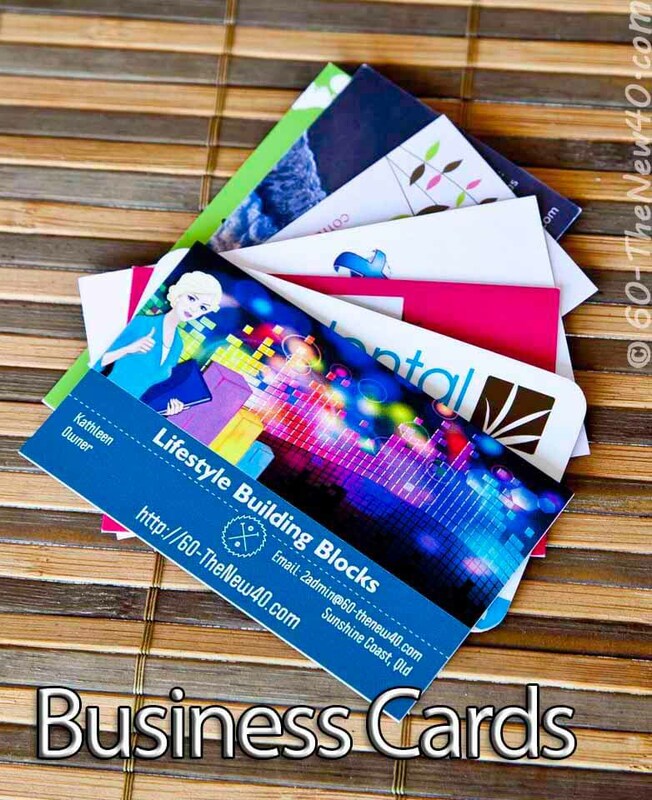 Why you need a business card! They are good for social bloggers who want to extend their reach. Business cards are recommended for bloggers going to blogging conferences. They are essential for bloggers working at generating income. Compliment your blogger’s lifestyle with a business card. Whatever your reason for blogging, enjoy your blogging lifestyle. This is a great idea, Kathleen. As I grow my blog, it’s definitely something I need to consider. Vista Print is always a great source for printing needs. Thanks for commenting Beverly. Cards are a good way to promote your blog. I have used Vista Print for several yeas, their specials are well worth it. Good comments Millie, you know the value of being able to hand your contact details to someone. Kathleen, Thank you for this information! This is something that I have not considered before now. It is a great to just hand someone your blog details without having to get them to write it down. They are less likely to lose it or throw it out than if it is on a scrap of paper. It has never really occurred to me to have a business card, but the more I pursue online opportunities, the more I see where they will come in handy in “real life” situations. As usual, Kathleen, you’ve given good, practical advice! Thank you! Thanks for your kind words Wendy, they certainly are handy and an easy way for people to remember you. I always have a difficult time pigeon holing what exactly it is that I blog about. I have too many interesters. But I do believe that an investment in business cards would help me out. I am sure they would help you Heidi. Planning one may help you to determine your main focus. I love my business cards. They’re so important to have. When I went to a conference, I put my business cards in a bag with a piece of chocolate. It was a good way to be remembered … and sort of assure people would take my cards! What a good idea Lisa. Hard to resist a free chocolate. I just changed my domain name and realized that now I need new business cards Lol. I remember going off to my first conference and was so overwhelmed trying to decide on what to put on my cards. I am grateful I was able to get some printed up before I went. That is good Jenny, they are essential at conferences. Thanks for your comments. I never thought about having a business card for my blog. Great idea! Blogging conferences are next on my list of things to make happen this year. Hi Sherry, thanks so much for your comments, I am sure you would find many uses for a business card. I had never thought of a business card. Thanks for the info. Very Nice post.. I have to admit this part. Business cards have become a big need these days. Business cards are just like a doorway to enter into the business world. They must be designed according to the products and services that a person is dealing in. This post is like a small guide for those who are not much aware about the benefits of having stylish business cards.